And we’re almost off! We finally told the boys last night that they’re going to Disney World and, as usual, they were super excited to go again. Part of me wonders if they’ll ever get tired of it because we go so often, but then again, Clint and I aren’t tired of it yet so maybe that will be never. 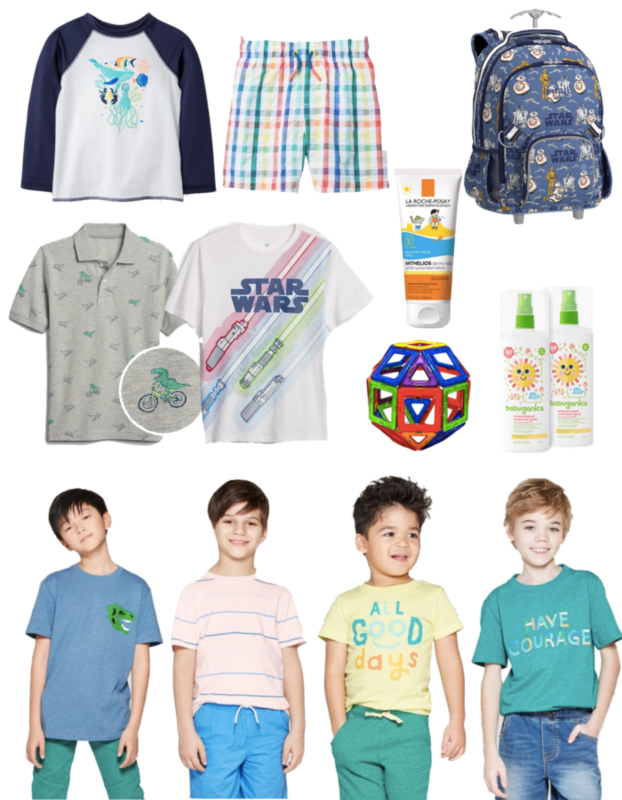 Since we’re sort of in an in-between phase here with both seasons and sizes for both boys, so I was due to do a little shopping. If you follow me on Instagram, you may have seen a lot of these clothing items in my Target/GAP haul I did the other day. But I’ve had really good luck lately at both places for both boys. The Cat & Jack line at Target is my favorite for play clothes. The pricing is SO good and they really have cute styles. My friend Tiffany posted about these Magnatile sets that are $10 and come in a travel bag, so I picked those up for something to do at dinners to keep the boys happy and occupied. I usually pack up little bags for them with stickers, coloring books and crayons for both on the plane and at dinners, so this’ll be a fun new addition to that set. If you all are heading out for travels, I hope you have a safe and fun trip! I’ll be working on some fun Disney content as we go along, so I hope you’ll follow along with us.